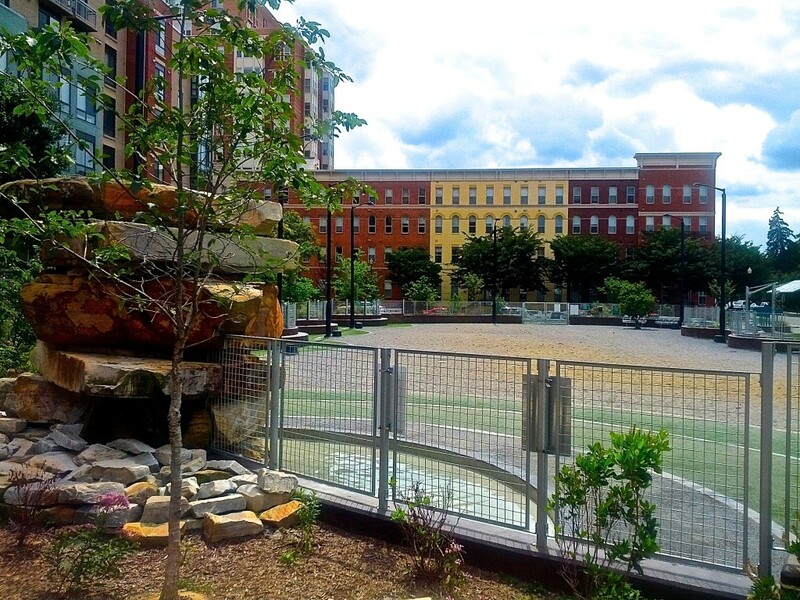 The Hartford Clarendon Condominium in two sentences: The Hartford was built in 2003 and is a luxury condominium consisting of six stories with 70 residences located one block to the Clarendon Metro. While offering few amenities, The Hartford provides a quiet lifestyle with luxury finishes in a superb location. The Hartford is a smaller community along the Orange Line that is sometimes forgotten amongst its larger counterparts in Clarendon. 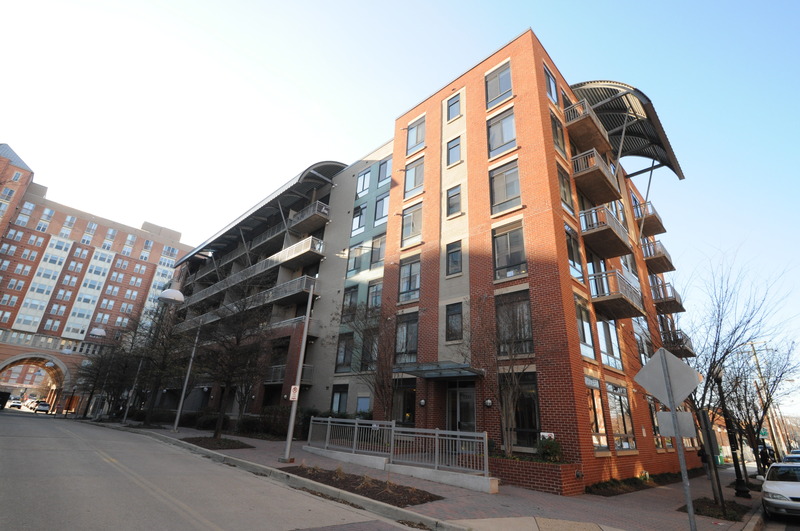 The Hartford is located at 1200 N Hartford St just one block to the Clarendon Metro. Built in 2003, it is strange to say, but it is an older condo building in Clarendon relatively speaking. That being said, when walking into The Hartford, one would never use the word ‘old’ to describe the building. Upon entering The Hartford, you are greeted by a welcoming lobby. There is no front desk or concierge. With just 70 units, it is not an immediate priority. Residences at The Hartford have hardwood floors, granite in the kitchen, and usually get a lot of natural light. Kitchens are going to be a little on the small end. More square footage is devoted to the living space. Two bedrooms floor plans come in at either 925 square feet and 1,100 square feet. One bedroom layouts will be 650 square feet. There are six (6) three-bedroom layouts and that tier are all at 1,300 square feet. The Hartford consists of 24 one-bedroom floor plans, 35 two-bedroom floor plans, and the aforementioned six (6) three-bedroom layouts. The Hartford is an excellent low-key community in a popular neighborhood. The exact location is beneficial for those that want to be in the heart of the action, but do not necessarily want the foot traffic outside the community that comes with the territory. The floor plans are decently-sized and well suited for renters and owners alike. While the building is mostly owner-occupied, there are usually anywhere from four to six rentals that come available in the community each year. Amenities at The Hartford Clarendon are slim. Let me rephrase that; there are none. Well, unless you count underground parking, an elevator, and a secure building entrance. And if you are listing these as amenities, it means that there are none. The amenities at The Hartford are what’s outside the building. The Hartford backs into the James Hunter Park (aka the Clarendon Dog Park). And The Hartford is conveniently located near CVS Pharmacy, Trader Joe’s, and everything Clarendon has to offer. The true value of living at The Hartford is the convenience to Clarendon in a smaller, boutique-style community. Clarendon has their large, amenity-rich high rise buildings which suffice for many people looking to move to Arlington. For those looking for something a little quieter, without sacrificing location or quality of life, The Hartford Clarendon condominium makes for an excellent choice.